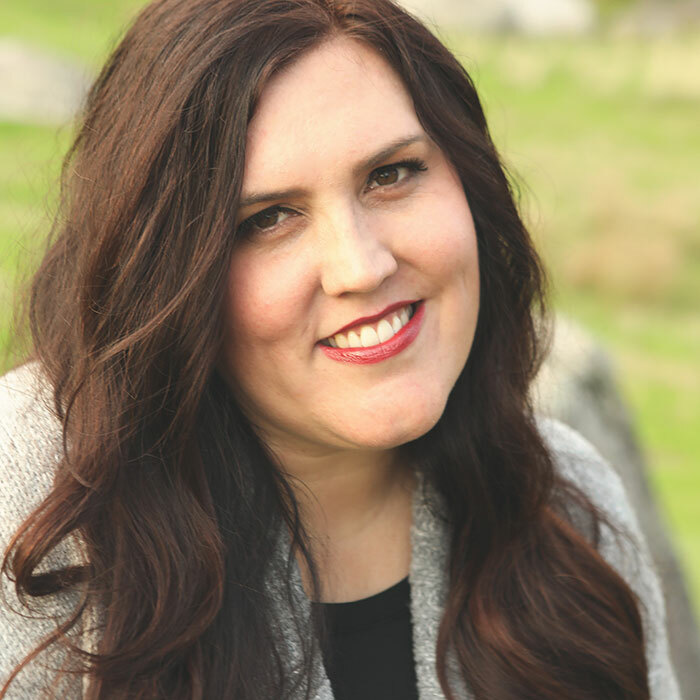 I got to share this idea on Eighteen25’s Spooktacular October! 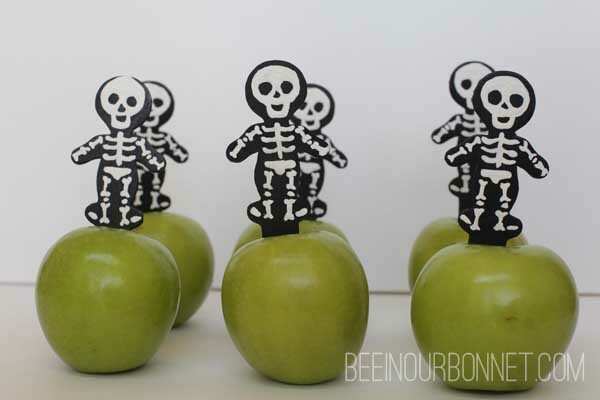 Instead of plain old popsicle sticks, or dowels I dressed up my apples with skeletons! I found these cuties in the kid’s craft area at my local JOANN’S! 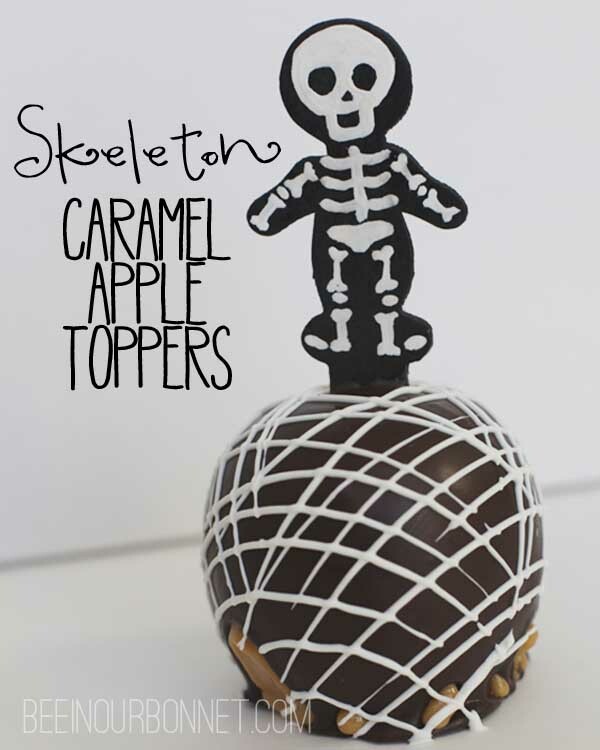 They could be really fun for finger plays and other such story telling, but I had caramel apple on the brain. So, $2.99 later, I was ready to get my craft on. There is actually a mix of boys and girls in bag, but for the skeletons, I used the “boys.” I just spray painted them black to make quick work of it. I sketched out my skeleton on paper first, to get an idea of how I wanted them, then painted them on. It’s actually easier than it looks if you have the right size paint brush. You just make two little hearts and connect them with a line to make a bone! These little guys are sturdy enough to fit in my clean apples and form a little apple graveyard. 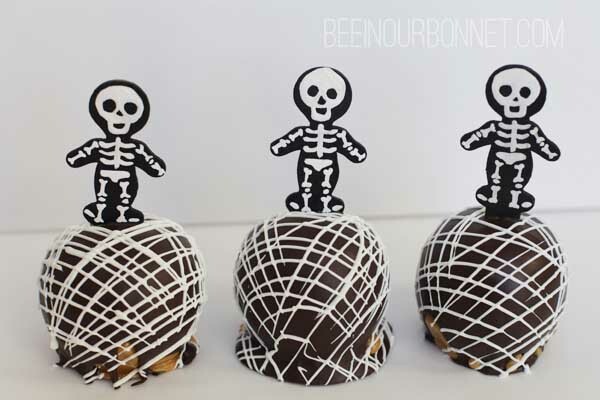 You really could decorate the apples however you wish, but I thought the dark and white chocolate would go well for this one. 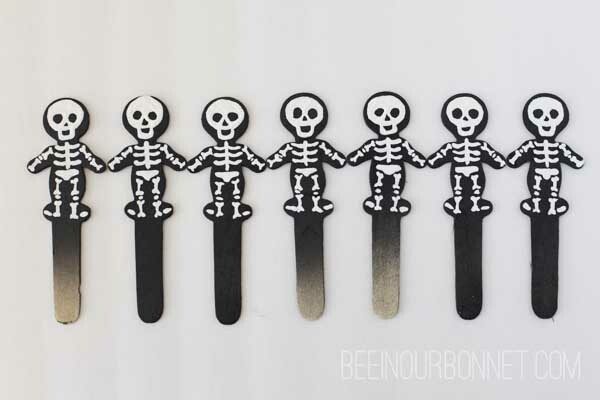 I also thought you could make other Halloween characters with the craft sticks and make a whole halloween family (if you’re an over-achiever like that). 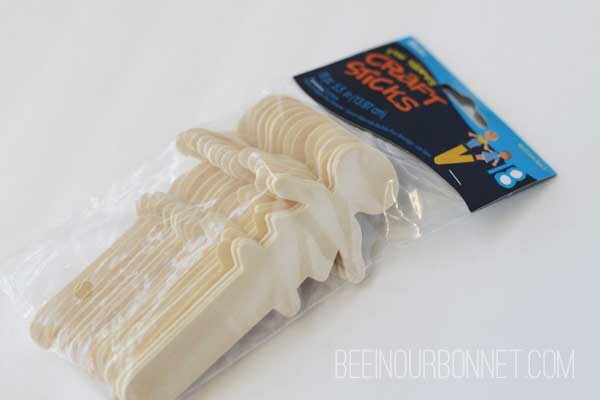 A witch, a frankenstein, a mummy, a vampire and monster would also look cute on these sticks! 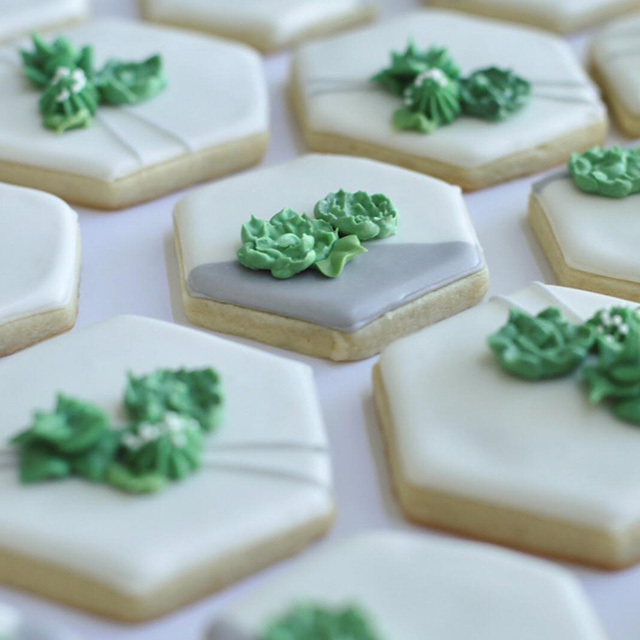 Any character you choose would be a fun part of your next Halloween dessert spread!